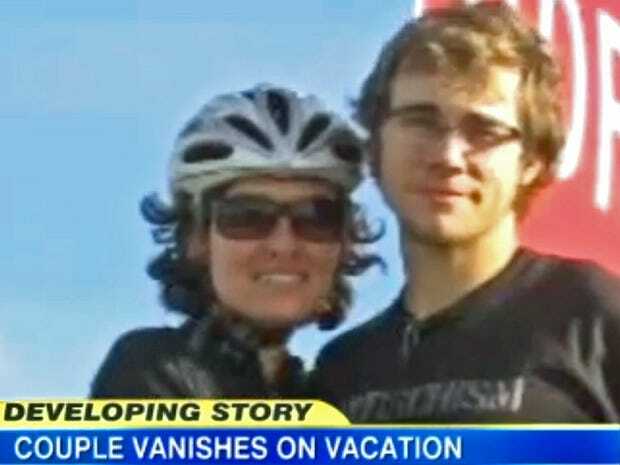 Neal and Hand reside in Oakland, Calif.
[UPDATE 18:02 EST] Two Americans from California who fell off the grid in Peru during a bike trip through South America have been found unharmed.Garrett Hand, 25, and Jamie Neal, 27, were last heard from the couple on January 25, prompting their families to worry that they had been kidnapped. Their families began to worry when the pair stopped providing updates of their trip — after frequently charting their progress on Facebook since November — as they bicycled through Argentina, into Chile, and then into Peru. The families said that neither Hand nor Neal had used their credit card or bank accounts since January 25. It seems that the travellers simply decided (unbeknownst to their families and friends) to live off the grid for a while. [Miguel Antezana, the communications director of Peru’s Foreign Commerce and Tourism Ministry,] said that it appears that the couple simply did not want to communicate with their families because they could have done so in Iquitos. Hand last posted on Facebook from Cusco, a mountainous area southeast of the Peruvian capital of Lima. 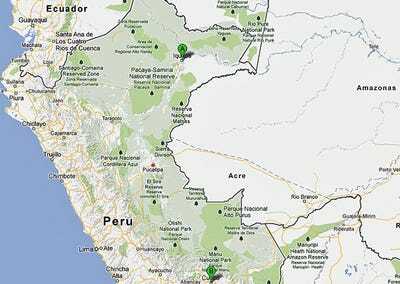 On February 13 the U.S. Embassy in Lima issued a travel advisory warning of foreign tourists near Cusco and the nearby ancient Incan city of Machu Picchu of a potential kidnapping threat. The manager of a small hotel in the Amazonian region of Iquitos told Reuters the couple had stayed there for five days before departing by boat on an upriver journey to Ecuador on February 16. The Peruvian National Police told CNN that the manager of a hostel in Pucallpa —about halfway between Iquitos and Cusco — told a police investigator that the couple had stayed there in early February.So it seems (as we proposed earlier) that the pair decided to travel from Cusco to Iquitos and onto Ecuador, despite that trip not being on their original itinerary. bicycle california home-us peru travel u.s.